October 9, 2014 by iCepts Technology Group, Inc. Comments Off on Microsoft Dynamics NAV 2015 Is Here! 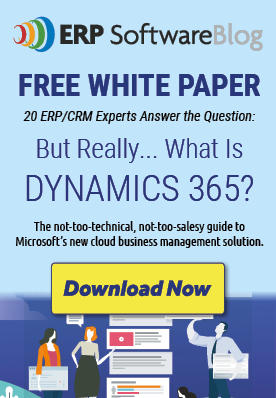 Microsoft Dynamics NAV 2015 Is Here! The continual development and commitment to this popular Enterprise Solution by Microsoft has resulting in the latest release of Microsoft Dynamics NAV called Microsoft Dynamics NAV 2015. Microsoft Dynamics NAV 2015 is here with many new enhancements designed to help your small to medium sized business streamline day-to-day operations and get more from your ERP system. Quick to implement, easy to use and powerful functionally, Microsoft Dynamics NAV 2015 is designed to help your company reach its goals. RapidStart Upgrade-Code: Several new enhancements include application merge utilities to help customers upgrade their solution-application code and metadata-from one version to another, or from one cumulative update to another. Furthermore, Microsoft has included supporting tools for handling application object files in general, and for managing application languages and captions. RapidStart Implementation: This latest release offers the possibility to map values from an existing ERP system into your Microsoft Dynamics NAV Implementation during the migration of your data. Also, tool support is provided to make the transition of data as smooth as possible. For example, you can easily convert dates and decimants to the form required by the regional settings on a users’ computer. Microsoft Dynamics NAV for Tablets: Another new feature for NAV 2015 is the ability to gain access to the NAV system from the device that you prefer. With a fresh and modern interface designed exclusively for touch, NAV’s ERP Mobility provides the familiar RoleTailored experience so that users can get real work done at home, at work or on the go. You can download this app from the Windows Store, App Store or Google play and install NAV on your tablet to leverage the complete Microsoft Dynamics NAV architecture and investment you’ve already made. Customizing and roele-tailoring your tablet experience becomes a simple task, using the Microsoft Dynamics NAV Development Environment and the tablet running in the browser. User Experience Enhancements: With an even more intuitive RoleTailored user interface, Dynamics NAV 2015 helps you by making data entry on pages faster by showing mandatory input fields (Mandatory Field). Faster processing by automatically filling in document numbers (Auto-fill, No. field). Easier review of documents such as orders, invoices, and credit memos by hiding totals shown on the page. Increase productivity by only showing what is relevant to the user, depending on user permission sets and license. To present striking operational Business Intelligence (BI) dashboards, that improves decision making and focus actions the Role Center now can show special cue tiles that apply custom formatting to any computed numerical value. NAV dashboards can show an indicator that changes color based on the data values that the tile reflects (Enhanced Cues). Simplification: NAV 2015 has a simpler user experience which focuses on basic sales and purchase scenarios. Simplification is a result of a set of approximately 100 objects, including 60+ pages that have been simplified plus one new RoleCenter from smaller businesses. Office 365 Integration: Microsoft Dynamics NAV provides a direct connection with Office 365, which enables customers to drill down, analyze, share and collaborate with peers. And with new usability enhancements that make their solution easier and more familiar to use, NAV with Office 365 works seamlessly and effortlessly across all applications. Document Reporting: NAV introduces Microsoft Word as a layout edition option for document reports. A single report can now have many layouts. Either RDLC, Word, or both. Report Scheduling: With Microsoft Dynamics NAV 2015, you can schedule any report to run on the server, now or schedule later. Reports will be bundled in an inbox in your Role Center. Simple and Uniform Bank Integration-With the new Bank Data Conversion Service Feature, users get electronic bank statement files converted into data that can be imported into Microsoft Dynamics NAV. Reversely, users can also use the conversion service to export payment information to electronic payment files in the format that their bank requires. Microsoft Dynamics NAV 2015 supports electronic bank files of major banks in over 25 countries. Fast and Reliable Incoming/Outgoing Bank Payments-The Payment Reconciliation Journals enables users to import bank transaction data into a dedicated UI (User Interface) and automatically apply to pen entries representing customer and vendor documents. The features include advance record matching, strong review tools and the possibility to freely define the payment match tolerance and to modify the generic matching algorithm. Posted in About Microsoft Dynamics NAV | Comments Off on Microsoft Dynamics NAV 2015 Is Here!